In addition to traditional medicine, Healthline Medical Group also offers complementary treatments like Acupuncture to patients in Van Nuys, CA and the surrounding areas. Dr. Mitra Daneshrad, DAOM L.Ac., is a Doctor of Acupuncture and Oriental Medicine who works collaboratively with our orthopedic surgeons, physical therapists and chiropractors to provide relief for her patients. With over 17 years of successful practice in the field of natural and holistic medicine, Dr. Daneshrad has devoted herself to her patients’ wellness and guides them to a natural and integrative approach to health. She is California Board Certified and specializes in pain management and emotional health in order to bring a holistic approach to her patients’ well-being. 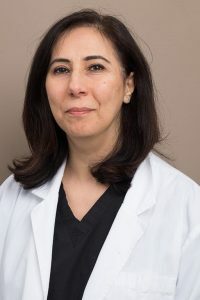 With her passion for natural healing, Dr. Daneshrad devotes her time to working with her patients, empowering them on their path to optimal wellness. Dr. Mitra Daneshrad was awarded her doctoral degree from Yo San University of Traditional Chinese Medicine with a specialty in women’s health and reproductive medicine. Alleviate pain in the lower back and joints. Eliminate discomfort caused by headaches and migraines. Relieve pain and nausea associated with cancer and cancer treatments. To find out more information about our Acupuncture services, please contact Healthline Medical Group today.